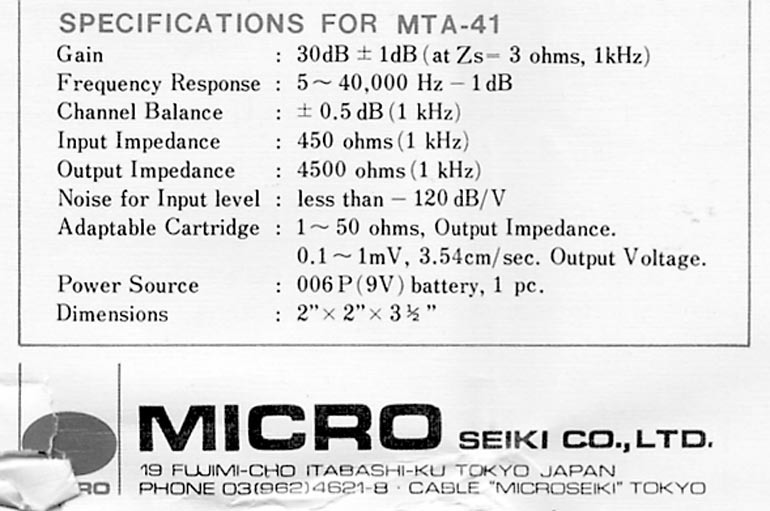 Micro Seiki MTA-41 MC head amp, NOS for sale. 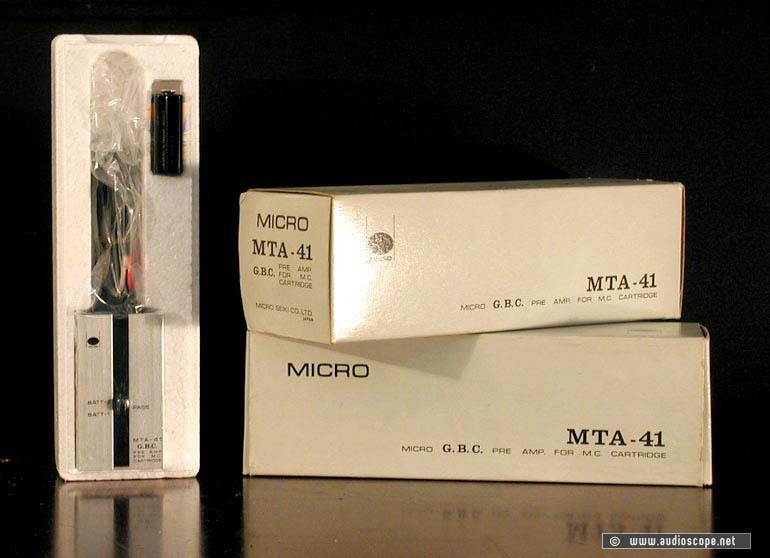 One one of the best moving coil head amps ever made. Runs on batteries only ==> no noise or other distortion. This one has never been used or taken out of its original box, it is brand new old stock from the mid-seventies. A super rare occasion to get one. Any questions?